Skylanders Trap Team Traps and Figures. 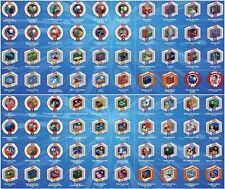 All work on Superchargers + Imaginators. For Animal Crossing fans. Collectible item. Top quality PVC cards and laminated, Water proof, shiny cards. Original Artwork, Better for collectible. Much appreciate. 22 Pcs Nfc Card ( No Repeat ). Note : It is applicable to all versions of Switch and Wii U. 1 Card Holder Bag. This can be for any of the following reasons -. 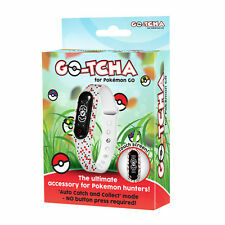 Go-Tcha Wristband for use with Pokemon Go - GB / FR / DE / ES / IT. Catch Gen I and Gen II Pokémon. Touch screen OLED display. Compatible with iPhone® 5 / 5c / 5s / SE / 6 / 6s / 6 Plus / 6s Plus / 7 / 7 Plus / 8 devices with iOS Version 8–11 installed. In good condition, complete with instruction booklet. Skylanders 17 Swap Force Figure Bundle job lot. Condition is Used. Dispatched with Royal Mail 2nd Class. (factory sealed, MADE IN JAPAN. ). Well then you can get hold of our custom made Mario cereal NFC scan card! The artwork has been created to match the cereal box. This is pretty much a collectors piece so you can add this to your NFC collection. Embark on a new adventure in Skylanders SWAP Force. Your parcel is your responsibility until it reaches us. If you change your mind. New Arrivals. Large collection of Skylanders figures and games , xbox 360. Condition is Used. 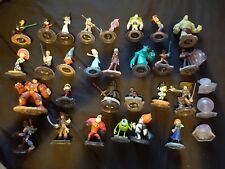 A selection of 52 Disney Infinity figures along with the portal and various discs as per the photographs. All used but in good condition. 14 Disney infinity figures . Condition is Used. 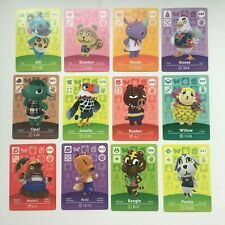 Animal Crossing New Leaf Sanrio Cards. All 6! These are user made. Card scans onto console to unlock character/items as normal.. Dispatched with Royal Mail 1st Class Large Letter. 16 Disney Infinity XBOX 360 figures Base board. Condition is Used but in as new condition. Dispatched with Royal Mail 1st Class. LEGO DIMENSIONS ADVENTURE TIME LEVEL PACK. Condition is Used. Dispatched with Royal Mail 2nd Class Large Letter. Condition is Used. In very good condition. 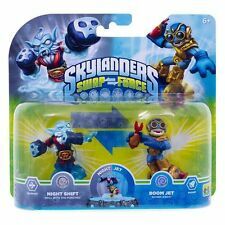 Skylanders Trap Team Bundle, 18 Swap Force Skylanders and Wii Disc. Tron Terrain Hologram Rare (Series 1). On The Grid Tron disc. Nintendo Amiibo Super Mario Wii U 3ds Collectable Character. Dispatched with Royal Mail 1st Class Large Letter. 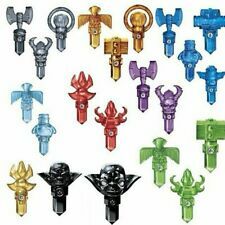 Skylanders Trap Team - TEN Traps inc. RARE Kaos Trap, Light Rocket Trap, Air Jughead, Earth Orb, Fire Scepter, Life Hammer, Magic Logholder, Tech Angel, Undead Skill and Water Tiki. Condition is Used. Dispatched with Royal Mail 1st Class.